Does your municipality have an effective and well-planned out strategy to put in place in the event of an emergency or natural disaster? Risks and threats to Canadians and Canada itself are becoming ever more complex due to the glut of natural hazards affecting our country, and the proliferation of transnational threats arising from the consequences of terrorism, international disease outbreaks, global climate change and cyber attacks. In the increasingly interconnected world of today, emergencies can quickly worsen in severity and scope, jump across jurisdictional lines, take on international proportions and result in catastrophic human and economic losses. Emergency refers to an anticipated or real event, or an unpredicted mixture of circumstances which necessitate the prompt action or immediate coordination of action as mandated or renewed by the Lieutenant-Governor, a cabinet minister, or an emergency management council or committee. Emergency Management is the commonly used term for the processes and systems for mitigating, responding to, preparing for, and recovering from disasters and emergencies. Emergency Management Plan is a living and breathing document. It requires foresight and imagination to predict the risks a municipality faces, and to implement the countermeasures that will help mitigate the damage in these situations. It documents procedures, resources, people, communications and organizational structures required to alleviate the impact of an emergency. Why is Planning for an Emergency Crucial for Every Municipality? Emergency plans are crucial, not only for dealing with the aftermath of a disaster, but also to ensure business continuity during the crisis, and map out reconstruction and recovery effectively. Dealing with unexpected crises is a social process that necessitates broad public support for the spearheading of initiatives and participation by a wide range of first responders, experts and citizens. Furthermore, it needs to be tenable in the light of obstacles posed by climate change, population growth and wealth imbalances. It can be said that, in essence, emergency planning is simply common sense. Yet the ever increasing complexity of disasters has necessitated a thorough professionalization of the field. This is most notable when we consider the increasing role of emergency response in information and communications technology. Disaster planning experts are also resource managers, and moving forward, they will need to deal with difficult and complex transfers of material and human resources. In a globalized world that is accelerating physically, socially, and economically, the challenge of properly managing emergencies depends on proper planning and foresight, and the skills necessary to connect miscellaneous elements of the emergency response into cohesive strategies. 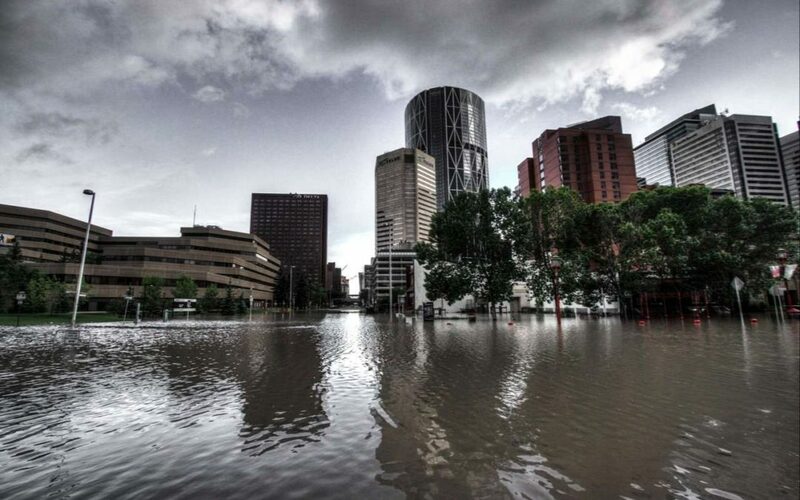 The Government of Alberta has introduced legislation to help define roles and responsibilities for decision-makers when disaster strikes. The proposed changes were tabled by Municipal Affairs Minister Shaye Anderson, and will include minimum emergency management training for individuals, more specifically, elected officials. The changes are primarily response to a number of recent catastrophic events in Alberta, including the 2013 Calgary, Alberta floods and the Fort McMurray, Alberta wildfire in 2016 that forced tens of thousands of people from their homes. Under the new legislation, municipal officials would remain the final decision-makers during a natural disaster, providing the province has not declared a state of emergency. Perhaps most importantly, the bill will state that anyone who refuses to evacuate an area in an emergency must take responsibility and liability for their actions and may even be fined $10,000.